Verizon announces the LG Vortex | Android Blast! Verizon Wireless has announced the LG Vortex, an Android-based smartphone. Verizon will offer the Vortex in two colors, black and violet. 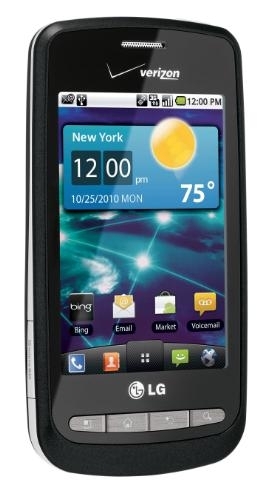 The LG Vortex sports a 3.2-inch touchscreen display, 3G Mobile HotSpot capability, Skype, and Swype. The LG Vortex ships with Android 2.2 and has a bunch of features. You can pick up a LG Vortex for $80, on contract after $100 mail-in rebate, starting November 18th.